A subscription consists of a series of seven or eight concerts, and you can choose between six different series: T1, T2, T3, F1, F2 or L. If you choose to subscribe you will have your own seat in concert hall throughout t the entire season – and you have the right to keep this seat in the following season if you wish to. 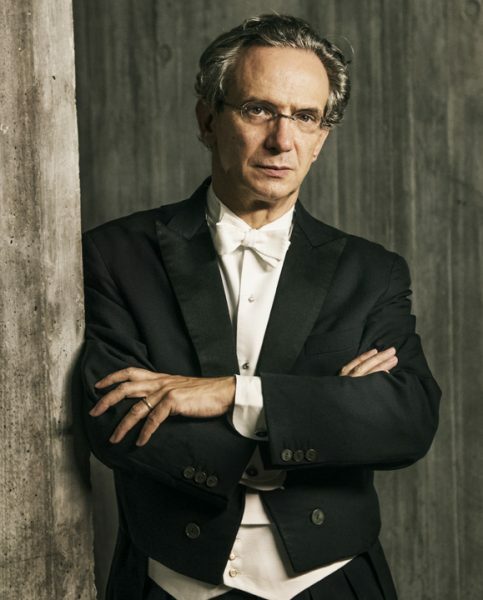 2019-20 is the Danish National Symphony Orchestra’s fourth season with the Italian star conductor Fabio Luisi as Principal Conductor. Luisi is well known for his deep personal engagement in the music; at the same time his musical experience and range are vast – with chief conductor posts with among others the Metropolitan Opera in New York, the Vienna Symphony Orchestra and the Zürich Opera. Before taking up the post Fabio Luisi had already forged a close relationship with the Danish National Symphony Orchestra. But in the permanent role as Principal Conduc­tor, he can challenge the musicians and develop the Orchestra in earnest. The musicians in the Danish National Symphony Orchestra are open-minded and easy to motivate. The opportunity to work continuously means that we can ensure a very high standard together. Meet the 106 musicians of the Danish National Symphony Orchestra – from first violinists and piccolo flautists to double-basses, tuba and harp. Each musician has won his or her position in the Danish National Symphony Orchestra by competing with other musicians from all over the world.